Thank you for visiting my blog, Huw’s Views. This blog is designed to keep you up to date with my political viewpoint on the week’s events. If you are a constituent and would like to see my latest constituency news please visit my website www.huwirranca-davies.org. Click to subscribe to Huw’s Views and receive notifications of new posts by email. Office of Huw Irranca-Davies AM, Unit 2, 112-113 Commercial Street, Maesteg, CF34 9DL. I attended the very first official hustings for the Welsh Labour leadership contest last week in Cardiff. It was a packed event, and there was a real buzz in the crowd. Some were quietly partisan, others more noisily so having already made up their minds. As we climbed the entrance steps, supporters of different candidates were already distributing leaflets or glad-handing other potential supporters. And then there were some – including me by the way – arriving with fairly open minds, wanting to see how three very good candidates for Welsh Labour leader would perform on the night, under the pressure of a real contest. What I saw and heard was three able and talented individuals from our broad Labour family who differed – sometimes markedly – in the substance of their policy offers and in their presentation style. They laid out what they believed was now needed for Welsh Labour and for Wales itself. There was real passion from all three, and firm commitment to our core Labour values of social justice and equality and opportunity for all, though they presented that passion in very different styles and with some significant differences in policy and political approaches. Differences emerged around approaches to Brexit, the role of nuclear energy and renewables in a de-carbonised future, the relationship between U.K. and Welsh Labour (and U.K. and Welsh Labour leadership), future funding priorities, competing views of what “radical” and “bold” actually mean in policy and leadership, and personal pitches between experience and a fresh approach. There were significant areas of overlap too, which you’d expect. I liked parts of what each candidate said, disliked other parts, but was glad to have been there at this opening foray. Yet my vivid first impression of this opening hustings is more straight-forward: this contest now looks set to be the energetic, vigorous debate that we really need. This diverse trio of candidates looked and sounded fresh and sparky, willing to disagree on points of substance, and willing to signal agreement on others. This will not be some lame contest. This really matters for the future of Welsh Labour and for Wales itself, and the candidates are truly up for it. And let’s be frank, this would have been a greatly diminished contest without Eluned on that platform to join Mark and Vaughan. And I and other members would have been disappointed and indeed astounded if Labour in this day and age – with our proud record on diversity – could not have fielded such a diverse field of candidates. Members have a meaningful choice now, and I’m pleased to have played a small role in making that happen. 1) The Inspirational Leader: I’m looking for a leader who can inspire me as a life-long Labour Party member. In that regard, I’m no different from any other Labour member. I want a leader who we follow into battle for the causes we believe in. Simples. Inspire me! I saw some of that on the platform last week, so I’m really hopeful. It’s the vision thing. 2) The Pragmatic and Credible Leader: As well as inspiration, and the vision to build a better future, I want a road-map of how we get there. To paraphrase Oscar Wilde, what’s the point of a map without Utopia on it. But I also want someone who can take us there, not just a dreamer. Part of the credibility of a leader is having pragmatic plans which will improve all people’s lives, tackle poverty and inequality and promote social and economic opportunity, and do this while protecting this and future generations and also protecting this one-and-only planet we have. 3) A Leader of Substance: Breadth and depth are really important, especially as this contest progresses: even if they don’t have all the answers right now, I want to know that a future leader has thought through all the vital policy areas, or is already working on them from a set of clear principles. As this contest continues, candidates will know they’ll have to sharpen their knowledge and fill in gaps. All the candidates demonstrated strengths in particular areas. But gaps which can be tolerated in week one will be intolerable (and found out) in week six … or sooner. 4) An Election-Winning Leader: winning the selectorate/winning the electorate. At this stage, it’s understandable if candidates focus primarily on the battle ahead, which is convincing members (under One Member One Vote, remember) to put a cross in their box by December. But there is a longer game too, and I won’t be the only one looking for a candidate who is aiming already to reach out to the wider electorate beyond the Labour Party, so that we can win elections and put into place our policies. So a real challenge for the candidates is pitching in that sweet-spot which can win this selection, but also appeal beyond to the public in Wales, and to ALL parts of Wales and our diverse communities. Perhaps the two (selectorate and electorate) are exactly the same. It’s for the candidates to work this out in their pitches. 5) The Unification Candidate: for all the passion, the excitement, and the differences in policy, politics and style, I am looking for the candidate who can continue to unify our party in Wales. One of our great successes in Wales over time has been our ability to stand together with one voice, despite occasional heated disagreements. Any candidate tempted to play to divisions/factions simply to win this selection loses my vote, because they ultimately lose us elections. 6) The Welsh Labour candidate: I “came home” to Wales and the Welsh parliament because I am a devolutionist. Having served as a Minister and MP in Westminster I have a clear understanding of the benefits of the United Kingdom (when we have progressive governments in power in Westminster) but I equally and passionately believe in the principle of devolving power and government as close to people as possible, so they can better pull the levers of power. Yet as law-making and tax-varying powers have moved purposefully and progressively to Wales (and this will continue over time, regardless of Brexit) so Welsh Labour has also become a muscular and vocal entity itself, from the original “clear red water” to more recent devolution to the Welsh Executive of key elements of the “rule book” by which we govern Welsh Labour. I want to see a candidate who shares that belief that Wales’ relationship with the U.K. is crucial but is also changing under devolution to one of greater parity; and that likewise, Welsh Labour’s relationship with U.K. Labour is crucial but we must never, ever be a branch office of London HQ. So, no pressure on Mark, Eluned and Vaughan then! They simply need to be 1) inspirational 2) pragmatic and credible 3) of depth and substance 4) election-winning 5) unifying and 6) distinctively Welsh Labour, within the U.K. Labour family. I am really looking forward to seeing this contest unfold over the next few weeks. The candidates are all immensely capable. I know them all, and am convinced that on any given day any one of them could be a great leader of Welsh Labour, the Labour Assembly Group, and of the Government of Wales. But only one of them can be that “First Among Equals” leader, so I wish them all the very best. Like all other Labour members in Wales, as I make my decision on who that will be, I know we are truly fortunate to have such a good and diverse choice of candidates in front of us. So let’s have a robust but well-tempered contest which inspires members and the wider public, which shows Welsh Labour as a progressive and unified party where different views can be aired and debated positively, which brings forward the leader who will take Wales and Welsh Labour forward to meet the immediate and significant challenges ahead, and sets us on course to a higher level of achievement and ambition for Wales. Like all Labour members, I have only one vote. I won’t be giving it away easily. But ultimately I will use it as wisely as I can, for the good of our party and country. Good luck to all the candidates. Coffee and energy bars at the ready for the long-haul to December … and beyond! The Welsh Labour Government has announced its spending plans for the next year with a budget heavily aimed at protecting services in local communities like Ogmore, despite the continued austerity funding from a UK Tory Chancellor. Seven years of austerity from damaging Tory cuts have had a damaging effect on families and communities throughout the whole of the UK. Wales has taken repeated hits from the Tories, and we have seen the block grant (annual funding) here in Wales reduced by £1.2 billion, slashing the money available to us to spend on vital public services. This is a political choice made by the Tory government in London, not a necessity, and we need to change the government in Westminster. Below is a very brief summary of the main announcements in our Welsh Budget, and it shows how even in very difficult times a Welsh Labour Government can make a difference, doing our best to work together with local authorities and others to protect our vital public services. This Budget over the next 3 years will see additional funding for our Welsh NHS – £230m for 2018/2019 and £220m for 2019/2020; Protection for our social care and our education services; no cuts to the ‘Supporting People Grant’ with an additional £10m allocated in each year; £70m investment over 2 years for the flagship childcare offer and an extra £10m in each year towards tackling homelessness. The Capital plans over the 3 years will see £340m released as part of our £1.4 billion investment to build 20,000 affordable homes; Continued investment in our children’s education with an extra £40m towards our ‘21st Century Schools Programme’ – building new schools for our pupils; An extra £90m for our NHS Wales Capital Programme; Capital funds have also been ear-marked in reserves to buy new rolling stock for the new Wales and Borders franchise. More information about how the Welsh Government is funded and a Budget overview can be found online at http://bit.ly/2gmhLbQ . Nid oes angen i chi fod yn arbenigwr cyfansoddiadol i gael dweud eich dweud ar faterion cyfansoddiadol. Mae Pwyllgor Materion Cyfansoddiadol a Deddfwriaethol Cynulliad Cenedlaethol Cymru yn edrych ar sut y mae Cymru yn gweithio gyda seneddau a llywodraethau eraill: y berthynas rhyngddynt, pa mor dda y maent yn cydweithio ac yn rhannu syniadau. Drwy ddeall y berthynas bresennol a’r berthynas yn y gorffennol, byddai’r Pwyllgor yn gallu argymell y model gorau o ran gweithio yn y dyfodol. Ond pa fath o berthynas y mae pobl Cymru am i’n sefydliad ei chael â seneddau a llywodraethau eraill? 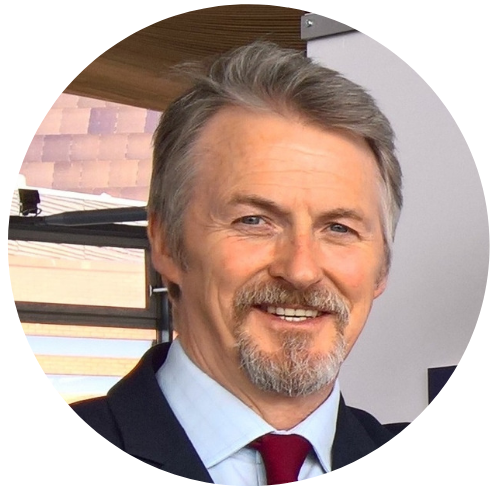 Bydd Huw Irranca-Davies AC, Cadeirydd y Pwyllgor, yn cynnal trafodaeth ar faes yr Eisteddfod Genedlaethol yn canolbwyntio ar yr heriau cyfansoddiadol mwyaf dwys, yn ei marn ef, mae pobl Cymru wedi eu hwynebu ers sawl cenhedlaeth, fel gwlad – Cymru – ac fel teulu o wledydd yn y Deyrnas Unedig. Bydd y ffordd mae Cymru yn ymateb i’r heriau hynny yn brawf diffiniol o’n cenhedlaeth ni. Mae’r Eisteddfod Genedlaethol, wrth gwrs, yn ddathliad o ddiwylliant Cymreig traddodiadol, y celfyddydau a’r iaith, ond mae hefyd yn fan lle caiff hunaniaeth Cymru a’i phobl ei dychmygu dro ar ôl tro. Mae hefyd yn fan lle mae gwleidyddiaeth a chyfansoddiad Cymru – a Chymru o fewn y Deyrnas Unedig – wedi cael eu trafod a’u dadlau’n frwd dros y degawdau, ar y Maes ac oddi arno. Mae’r Deyrnas Unedig yn ceisio trafod ffordd allan o’r Undeb Ewropeaidd. Mae Lloegr wedi drysu ynghylch ei hunaniaeth – neu’r sawl hunaniaeth sydd ganddi – ac maen arbrofi â ffurfiau gwahanol o ddatganoli yn Llundain a bellach yn ei dinasoedd metropolitan a rhanbarthau mawr. Pleidleisiodd yr Alban mewn un refferendwm i aros yn rhan o’r Deyrnas Unedig, mae ei llywodraeth yn chwarae â’r syniad o gael ail refferendwm, ond wedi rhoi’r syniad i’r neilltu – am y tro o leiaf. Ac mae sefydliadau Gogledd Iwerddon yn ei hunfan yn stond ac yn wynebu’r bygythiad o Reolaeth Uniongyrchol. Mae gan Gymru Fodel Cadw Pwerau yn debyg i’r Alban o’r diwedd, ond mae rhai sylwebwyr arbenigol – ac yn wir, Llywodraeth Cymru ei hun – yn dadlau bod perygl y bydd Deddf Cymru, ynghyd â Bil yr Undeb Ewropeaidd (Ymadael), yn gam yn ôl i’r broses ddatganoli. Yn yr amgylchedd tymhestlog a newidiol hwn, mae’n gwbl briodol i ofyn y cwestiwn sylfaenol: sut y gallwn sicrhau llais cryf i Gymru nawr, a llais cryfach yn y dyfodol? Ymysg yr holl stŵr, mae’n gwbl angenrheidiol sicrhau’r llais cryfaf posibl i Gymru yn yr undeb hon o wledydd. Bydd Huw Irranca-Davies AC, Cadeirydd Pwyllgor Materion Cyfansoddiadol a Deddfwriaethol Cynulliad Cenedlaethol Cymru, yn sôn am ymchwiliad y Pwyllgor, sef ‘Llais Cryfach i Gymru’. Yna, bydd cyfle i gyfarfod ag aelodau’r Pwyllgor i drafod y materion hyn a fydd yn arbennig o bwysig wrth i’r DU baratoi i adael yr UE. You don’t have to be a constitutional expert to have your say on constitutional issues. The National Assembly for Wales’s Constitutional and Legislative Affairs Committee has been looking at how Wales works with other Parliaments and Governments: the relationship between them, how well they work together and share ideas. By understanding current and past relationships, the Committee want to be able to recommend the best model of working for the future. But what sort of relationship does the people of Wales want our institution to have with other parliaments and governments? Huw Irranca-Davies AM, Chair of the Committee will deliver a talk at this year’s National Eisteddfod focusing on what he will argue are the most profound constitutional challenges the people of Wales have faced for many generations, both as a nation – Wales – and as a family of nations within the United Kingdom. How Wales rises to those challenges will be the defining test of our generation. The National Eisteddfod is of course a celebration of traditional Welsh culture and arts and language, but it is also a place where the identity of Wales and its people is constantly imagined and re-imagined. It is also where the politics and constitution of Wales – and Wales within the United Kingdom – have been hotly discussed and debated down the decades, on the Maes and off. A UK which is negotiating its way out of membership of the EU. An England which is perhaps confused about its identity – or its multiple identities – and is experimenting with different forms of devolution in London and now in its grand metropolitan cities & regions. A Scotland which voted in one referendum to stay as part of the UK, with a government which toyed with the idea of a second referendum, yet has gone cool on the idea – at least for now. And the institutions of Northern Ireland in suspended animation with the threat of Direct Rule hanging over them. A Wales with a Scotland-style Reserved Powers Model finally, but with some expert commentators – and indeed the Welsh Government itself – arguing that the Wales Act in combination with the EU (Withdrawal) Bill risks rolling devolution backwards. In this turbulent, fast-changing environment, it is absolutely right to ask the fundamental question of how we ensure Wales has a strong voice right now, and a stronger voice in the future. In the midst of all the cacophony and clamour, the strongest possible voice for Wales in this union of nations is an absolute imperative. The Chair of the National Assembly for Wales’s Constitutional and Legislative Affairs Committee, Huw Irranca-Davies AM, will talk about its ‘Stronger Voice for Wales’ inquiry. This will be followed by an opportunity to meet Members of the Committee to talk about these issues which will become particularly important as the UK prepares to leave the EU. The team head back to the changing room at the end of a pretty brutal match. It’s been one hell of an effort. Heroic in many ways. They lost, but they played with such passion and energy and creativity that they won over many in the crowd. There was a sense that they had rediscovered their mojo, their old style of playing with flair, and lots of the fans loved it. Written off before the game even started, their tactics and leadership were endlessly derided by the press and commentators, and even during the game they were subject to dirty play off the ball. The other team played ugly and even uglier as their own tactics unravelled on the pitch. Yet the underdogs stuck to their game plan, and came out at the end of the game with new-found respect from the pundits and the crowd, and knowing that some of their key tactics really worked. There was real pride in the changing room. But – just to clarify one more time – they lost. The Labour Party and its supporters should take great heart from the performance we’ve just put in. We were being written-off. We should be immensely proud of the results and the huge efforts of our candidates and campaigners, as well as the new-found supporters who have rallied to our cause. But now is the right time to take-stock. We need a hard-headed analysis of what went right, and what went wrong. After-all, we could be on the pitch again sooner rather than later, as the Weak and Unstable Tory-DUP “coalition of chaos” limps painfully into being. Jeremy Corbyn and his policies enthused legions of progressive left-of-centre voters, some of whom had long tired of soundbite politics and policy by “triangulation” and focus-groups, and many of whom were of a new generation who were inspired by the old-style Labour gospel in a modern-setting. They were sick of endless austerity-politics and sick of Tory politicians telling them to stop whinging and to accept their lot in life. We need to keep the fire of that enthusiasm alive, and continue to develop our policies to reflect this ambition for a fairer future for young and old. Properly costed policies which argue for redistribution and common ownership are not only popular, but are also part of our core Labour values. They can be truly radical – like the Tobin tax – as well, as long as they are also credible and inspiring. Welsh Labour continues to establish itself as a powerful entity in its own right, and a redoubtable electoral force both in defending seats and winning seats against the odds. The substantial autonomy of the party on policy and leadership (whilst within a UK framework) gives us distinct advantages. Welsh Labour has earned the trust of many here, being seen as in tune with Welsh values and aspirations. Though we do have to keep earning that trust every day (see below for notes on “hubris”). One other point: in Wales the mix of Carwyn Jones and Corbyn, and of UK and Welsh Labour was quite potent. In combination they managed to inspire or reassure many voters. This was the first British general election in which a Welsh Labour leader and Welsh Labour policies were so prominent in the campaign – witness the production of a separate Welsh Labour manifesto with Jones as figurehead of the campaign. Yet UK Labour policies and Corbyn himself were also crucial to inspiring many voters. Other parties may criticise the possible constitutional and electoral confusion from mixing Welsh and British policies and leadership, but you can bet they would be doing the same if they only could use the same chemistry. The public saw through Theresa May’s opportunistic dash for an election, after she originally said that was the last thing the country needed as negotiations to leave the EU loomed. People laughed as the robotic “strong and stable” soundbites became the Tory dead-parrot. They were stunned by her cowardly avoidance of debates, and her dread of meeting real members of the public. And her policy chaos and U-turns, like the dementia tax, were treated with scorn. Across the Labour Party we have an ambitious and inspiring vision of a society which truly works for the many not the few, and radical policies which make that ambition achievable. We now have a solid platform on which to build for a victory in the next general election. That’s what progressive voters want, and frankly it’s what they and the UK deserve. Yet we are still some way short of winning a UK majority, and it’s quite possible that the next “snap” election could hit us soon. It could even be called before the new parliamentary boundaries are in place (after which the electoral hill will become even steeper for Labour) so that should really focus our attention too. Let’s acknowledge that the “one more push” mentality is simply not good enough. That way lies another valiant defeat, and we are better than that. So we must answer the difficult questions: Who are we failing to appeal to, and why, and how do we broaden that appeal? Where do we lack credibility? Where are we obviously weak and vulnerable to attack? Are we hard-headed enough to fix our weaknesses, and to broaden our appeal? So in the immediate aftermath of the election, as soon as the “Vote Labour” placards are taken down and the campaign rooms cleared, we should as a party of members lock-ourselves away from the glare of armchair critics and political harpies and ask ourselves hard questions. Be honest with ourselves. Be constructive, but be brutally honest. How do we keep true to our values, and espouse those values in a bold way that excites and inspires the electorate as we have done recently, but also extend the appeal wider so that we take those Labour values and policies right into government to change the world. Losing valiantly can feel good, but only in passing. Winning worthily feels better, and for longer. Huw Irranca-Davies is Welsh Assembly member for Ogmore. Mae ffermio a bywyd gwledig yn ganolog i’r hyn sydd yn gwneud i Gymru ragori. Mae Llafur Cymru yn deall hyn a bydd yn sefyll dros ein ffermwyr a’n cymunedau gwledig. Wrth gwrs, mae ein hamaethyddiaeth yn helpu i gynhyrchu bwyd a rhoi diogelwch bwyd i Gymru a’r DU, ac yn ysgogi cynnyrch bwyd o ansawdd uchel i gael ei allforio. Mae rheoli tir yn dda yn cynnal y dirwedd sydd yn denu twristiaid a gall helpu i greu buddion amgylcheddol ehangach fel addasu i newid hinsawdd a gwrthdroi colli bioamrywiaeth. Ond mae ffermio hefyd yn sylfaen ar gyfer ein cymunedau gwledig yng Nghymru, yn creu swyddi uniongyrchol yn y gadwyn fwyd ac yn anuniongyrchol, yn cynnal bywyd gwasanaethau cyhoeddus lleol, a chynnal ein diwylliant a’n treftadaeth ac – yn hanfodol – ein hiaith hefyd. Dyma pam y bydd Llafur Cymru bob amser yn sefyll dros ffermio yng Nghymru. Byddwn yn sefyll dros ffermio wrth i’r broses o ddod allan o’r UE symud ymlaen. Mae pleidlais y refferendwm wedi digwydd ac mae “Brexit” yn mynd yn ei flaen. Ond ni fyddwn yn derbyn ffordd anniben Theresa May o ddod allan o’r UE gyda “Dim bargen yn well nag unrhyw fargen”, fyddai’n dinistrio ffermio a’n heconomi wledig yng Nghymru. Felly byddwn yn dwyn gweinidogion presennol y llywodraeth i gyfrif gyda’u haddewid na fydd ffermio a’r economi wledig yn colli cyllid o ganlyniad i Brexit. Mae’n rhaid rhoi’r cyllid hwnnw i Gymru yn ei gyfanrwydd, nid ei gadw gan lywodraeth bell i ffwrdd yn San Steffan i’w ddosbarthu i Gymru fel a phan y gwêl yn dda. Ac mae’n rhaid i ffermwyr Cymru allu helpu i lunio’r polisiau sydd yn effeithio ar eu bywydau a’u ffordd o fyw, yma yng Nghymru. Felly byddwn yn brwydro yn erbyn unrhyw ddileu pwerau “drwy’r drws cefn” yn ymwneud ag amaethyddiaeth. Mae fframweithiau cyffredin y DU y cytunwyd arnynt yn iawn, ond mae arwyddion sydd yn peri pryder gan y Ceidwadwyr eu bod eisiau disodli Brwsel gyda rheolaeth o Lundain. Ni fyddwn yn derbyn unrhyw fachu pwerau gan Whitehall. Mae’n rhaid i ni hefyd sicrhau diogelu ein PGI a’n cynnyrch bwyd lle caiff yr enw ei ddiogelu, sydd mor bwysig i’n brandio o ansawdd ac allforion yng Nghymru. Mae Llafur Cymru mewn llywodraeth – ynghyd â sefydliadau fel Hybu Cig Cymru – eisoes yn gweithio i amddiffyn ein hallforion presennol i’r UE ac yn datblygu ein hallforion i gyrchfannau newydd y tu hwnt i’r UE. Y tu hwnt i Brexit, ein gweledigaeth yw datblygu rhaglen gymorth yn y dyfodol y tu hwnt i CAP sydd wedi ei ddylunio’n well i ddarparu nwyddau cyhoeddus a chefnogi busnesau gwledig. Mae gadael yr UE yn rhoi cyfle i ni sefydlu cyfeiriad strategol newydd ar gyfer amaethyddiaeth Cymru, un fydd yn ategu Polisi Adnoddau Naturiol Cymru. Ac ar gymaint o faterion eraill fel caffaeliad a chyflwyno band eang, amddiffyn ein cynnyrch PGI a hybu allforion bwyd, cynllun cynhwysfawr i ddileu TB, cefnogi bywyd cefn gwlad ehangach a’n treftadaeth a’n hiaith: bydd Llafur Cymru bob amser yn sefyll dros ein ffermwyr a’n cymunedau gwledig, mewn gwrthgyferbyniad llwyr i lywodraeth Geidwadol bell, heb ddiddordeb yn San Steffan. Farming and rural life is at the heart of what makes Wales great. Welsh Labour understands this, and will stand up for our farmers and rural communities. Of course, our agriculture helps deliver food production and food security for Wales and the UK, and drives exports of high quality food products. Good land-management maintains the landscape that tourists love and can help deliver wider environmental benefits such as climate-change adaptation and reversing biodiversity-loss. But farming is also a foundation-stone of our rural communities in Wales, creating jobs directly in the food-chain and indirectly, maintaining the vitality of local public services, and sustaining our culture and heritage and – crucially – our language too. This is why Welsh Labour will always stand up for farming in Wales. We will stand up for farming as the process of withdrawal from the EU moves forward. The referendum vote has happened and “Brexit” is proceeding. But we will not accept Theresa May’s chaotic “No deal is better than a bad deal” withdrawal from the EU which would devastate Welsh farming and our rural economy. So we will hold current government ministers to the promise that farming and the rural economy would not lose funding as a result of Brexit. That funding must be given to Wales in its entirety, not held by a distant Westminster government to distribute to Wales as and when it sees fit. And Welsh farmers must be able to help shape the policies which affect their lives and their livelihood, here at home in Wales. So we will fight against any “backdoor” removal of powers over agriculture. Common UK-frameworks where agreed are fine, but there are worrying signals from the Conservatives that they want to simply replace Brussels with control from London. We will not accept any Whitehall power-grab. We must also ensure the protection of our PGI and protected name food products, which are so important to our quality branding and exports. Welsh Labour in government – together with organisations like Hybu Cig Cymru – are already working to protect our existing exports to the EU and growing our exports to new destinations beyond the EU. Beyond Brexit our vision is to develop a future support programme outside of CAP which is better designed to deliver public goods and support rural businesses. Leaving the EU provides us with the opportunity to set a new strategic direction for Welsh agriculture, one which will complement Wales’ Natural Resources Policy. And on many other matters such as procurement and broadband roll-out, protection of PGI produce and boosting food exports, a comprehensive plan to eradicate TB, supporting wider rural life and our heritage and our language: Welsh Labour will always stand up for our farmers and rural communities, in stark contrast to a distant and disinterested Conservative government in Westminster. These and many other landmark investments are happening thanks to Labour Bridgend County Borough Council and Labour Welsh Government investing in our area DESPITE continuing harsh cuts imposed by the Conservative UK government since 2010. The massive cuts to funding to Wales under the Conservatives can’t be wished away, but thank goodness for a local authority and Welsh Government who are still investing in the education of our young people so they all have the best chance in life, and in the quality of care for our elderly so they can enjoy the best of their later years. On a larger issue affecting the whole region, we have recently signed-off on the multi-billion pound investments of the Cardiff City Region and the Swansea City Region deals. Whilst the Bridgend area falls within the Cardiff Region deal, make no mistake, both initiatives will affect us directly, and have the potential to grow the well-paid jobs and opportunities which will lift the economy here. This pattern of investment locally and regionally is just what we need for Bridgend and for Wales. It shows real ambition for jobs now, and rising prosperity to come. So, is it right to get all fired up about income and wealth inequality? Perhaps we should be more relaxed about the “obscenely” wealthy? Well, I hate to come over all sensible and “middle-way” but there truly is a balance to be struck here. The rising inequality at home and globally should be deeply worrying for all of us, not because of the green-eyed monster of income envy or class-war, but because it directly contributes to the rising disenchantment with society, the economy and politics. It looks like (and indeed can increasingly be that) the rules of the game are being written by a powerful elite for their own benefit. Moreover, when one large group of people (the now mythologised 99%) are told to accept their poorer lot in life, and a smaller (the equally mythologised 1%) other segment get to live like modern version of the Medici, it not only feels bad, but it causes bad things to happen. But as much as we should aim to reverse the growing wealth and income inequality gap, we also need to be careful to encourage the entrepreneur and successful business leader– from the White Van Man or Woman to the tech-wizard to the CEO – to go out there and create successful businesses, grow them and grow the jobs, take the risk and receive due reward, and pay good wages and pay the progressive taxes to fund our collectively provided public services like schools and hospitals and highways and more. Rising inequality is bad. Wealth creation is not. Government and political leaders need to be on the side of wealth creators and also on the more equal distribution of wealth. Of course the wealth creators are the entrepreneurs and top CEOs and business leaders. But they are also the productive shop-floor and factory-floor workers without whom no business could function, and the public sector and para-public and other workers (like teachers and health workers, housing associations staff and many others) who hone and sustain those healthy productive citizens. They all contribute to wealth creation, and all deserve a fair share of the rewards. Note: I don’t say the same reward, but it needs to be a darn sight fairer than it is now. Too much cream isn’t good for anyone, so it’s in the interest of the 1% as well as the 99% that we share it around a bit more fairly. This is a moral imperative, but it’s also an economic and political necessity too. People feel in their gut that things are getting out of hand. If politicians just say “that’s just the way it is” then expect the public disengagement and distrust of politics to worsen. It does not have to be this way. It’s up to us to fix it.